"This was Waldo's second engagement with Lease Plan and each was meaningful and full of passion. 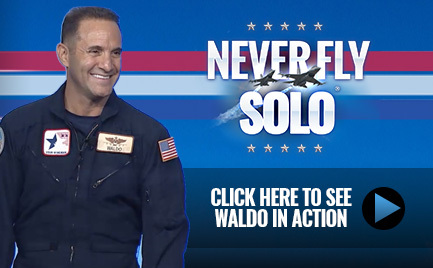 Whether he is speaking to Sales, IT or other departments, his 'Never Fly Solo' message is relevant and inspiring at all levels of the organization. His mantra to 'Push it Up!' is the exact message our Leadership team needed to hear as we demand more from ourselves, push our teams to the limit, and strive to sustain organizational greatness." We survive solo, but we win together. Flying solo in business ? You might think so. But take a good look around. You have support staff, co-workers and managers. You have suppliers, vendors, and distributors. And you have colleagues, family and significant others. In today’s super-charged, highly competitive world of rapid and constant change, those who build trust and work as a team will dodge the missiles of business and win. By committing yourself to excellence and placing trust in others, you can overcome obstacles, adapt to change, and break performance barriers during adverse times. By placing trust in your wingmen and by being a wingman to your clients, partners and co-workers, there is no business mission you can’t complete! 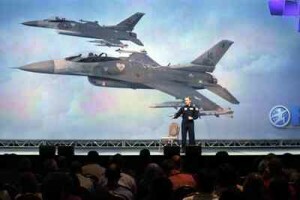 This keynote is not about relating combat tactics to winning in business. Rather, it’s about focusing on what really matters in business – building high performance, trusting teams and fully serving your customers and co-workers. It’s about winning with integrity in highly competitive environments through disciplined training, dedicated teamwork, and courageous leadership. Waldo overcame a lifelong battle with claustrophobia and a fear of heights to become a highly decorated fighter pilot with over 65 real world combat missions. His experience both in the military and business have taught him that success is about camaraderie, courage, and a commitment to excellence. Audiences connect with Waldo because he truly speaks from the heart and has an infectious passion for helping people. 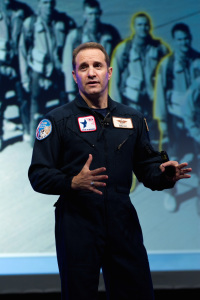 His customized business analogies and captivating personal stories combined with dramatic jet fighter video footage and inspirational music will encourage you to prepare diligently for every mission, face challenges and change with courage, build more meaningful relationships, and maximize your potential both in business and in life! Execute a Business Game Plan to Survive and WIN!